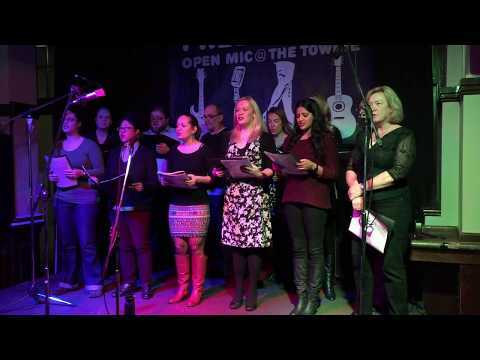 The Adult Glee Club is an amazing community of people who welcome people of all musical abilities, backgrounds and tastes. It's more than a choir as such. Consider us like yoga. An activity you've been hearing about and curious to try out. Except, with Adult Glee Club, it's all about singing. There's no auditions, no experience necessary. Just a willingness to give it a try. You might think you're not any good, but it's also something you'll get better at the longer you're doing it. We've seen all sorts of people join our Gleek Community. Those who used to sing and are looking for a social and fun way to reignite their passion, those who are vocal students or karaoke enthusiasts, those who need a new hobby or some music therapy, and those who have never ventured into the world of group singing. Whatever the reason, Adult Glee Club is the perfect place to start singing. With locations across various Australia states and cities, the Adult Glee Club invites you to join them for a trial visit. If you end up joining for the term, you'll be able to visit other Glee Clubs at no extra cost. So if you're a frequent flyer, you can join us in Sydney, Brisbane, Melbourne or Adelaide. How cool is that? We love nothing more than to see people develop their confidence through singing and to ultimately see them transform and get creative with their singing.